Last month, I had just finished sewing my dress for Josie’s Christening and I was thinking of what my next sewing project would be. 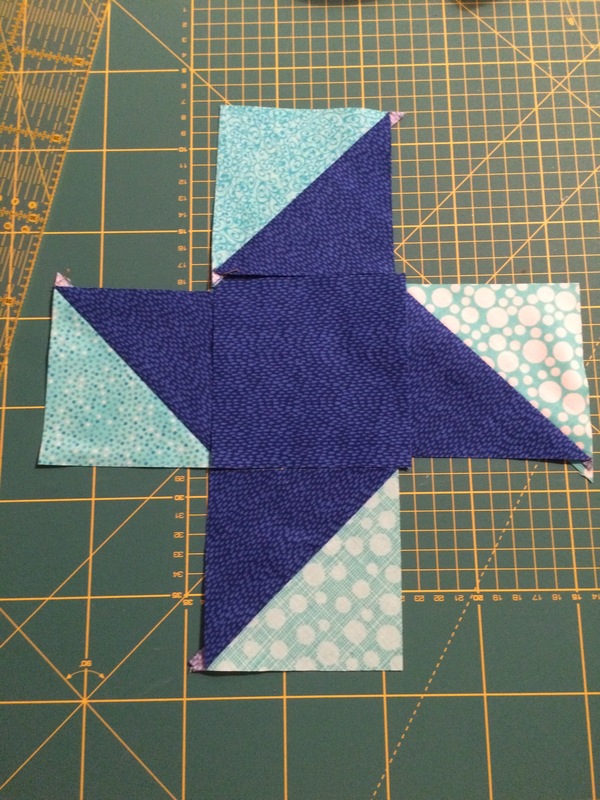 After reading Tasia’s post on her quilt, I immediately decided I also need to sew one. The only problem was that I had never done that and apparently it wasn’t that easy. 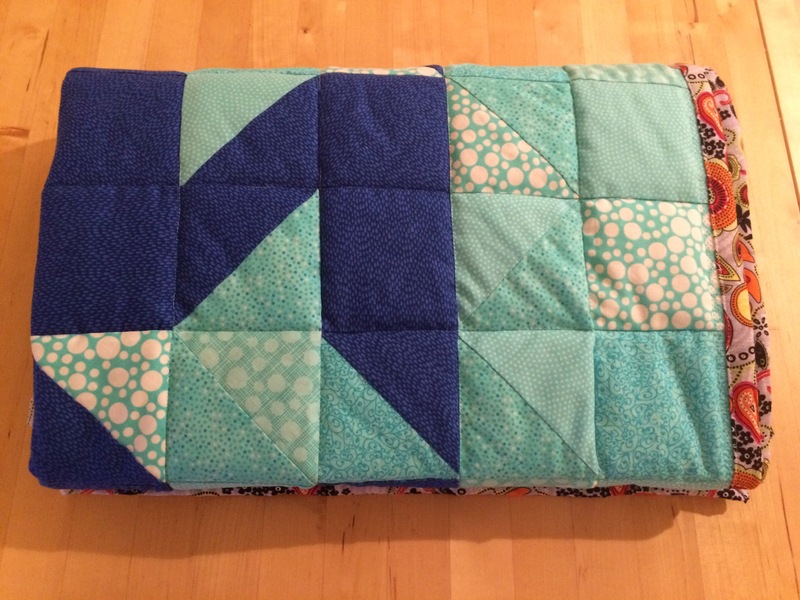 So, my plan was to start small: a quilt for my baby daughter. 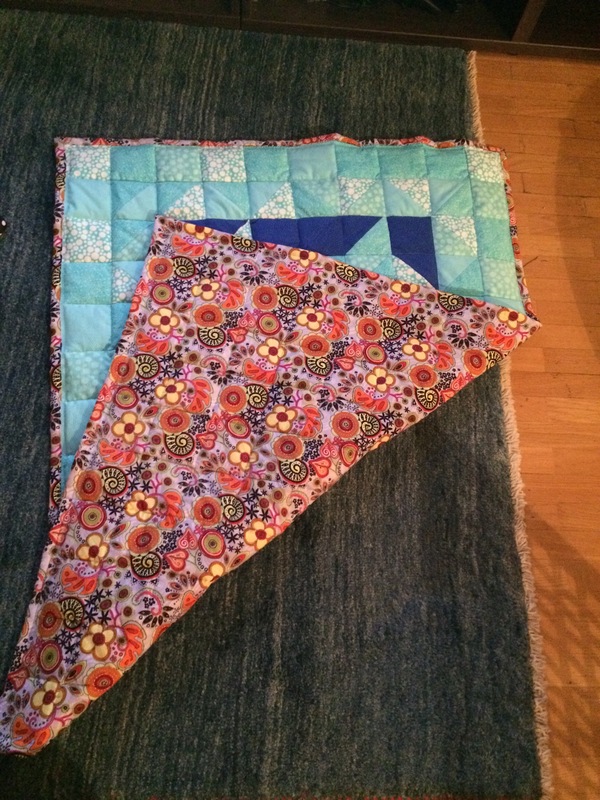 I started watching youtube videos on how to quilt and saw some easy patterns for beginners. After this, I started researching on where I could buy my fabric and also receive a little guidance (in Munich) and I found this great store. Off I went, and after talking to a lovely lady at the store I ended up buying 0.5m of 5 shades of light blue, 0.5 m of dark blue, 1.1m of 1.5 m wide batting and matching cotton thread (I had read that it’s important to stick to all cotton, so I just got the thread too as I wasn’t sure of what I already had in my stash at home). I must say that these supplies were not at all cheap. I paid 70€ for everything, but I also have some fabric left, so I guess I could have gotten away with just 50€ too. If I ever do another quilt I will try to use my existing fabric stash as much as possible. I wanted my design to have some sort of stars on it, a size of 100cm x 150cm max and cells of 10×10 cm. 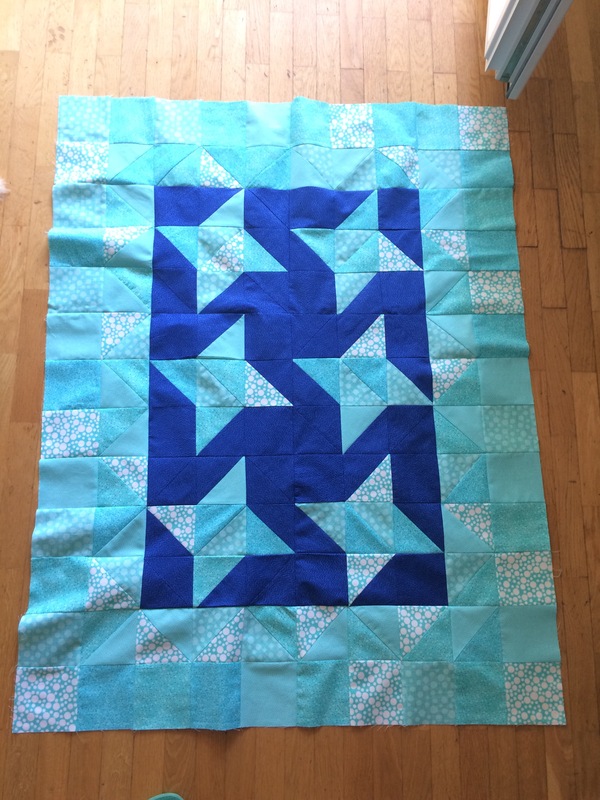 Getting stars on the design meant I needed squares with both dark blue and light blue on them and then some more squares with just one color on them. So, after some rusty math, for obtaining the mixed squares, I cut 15.2 cm squares of fabric which I planned on sewing 2 by 2, right sides together, then cut them diagonally (on both diagonals) and hopefuly obtain 10cm squares with a 0.75cm seam allowance. In the end, the squares came out like this. I switched the colors of the stars in the end by making the dark blue as background. Here is how a star-square looked like. 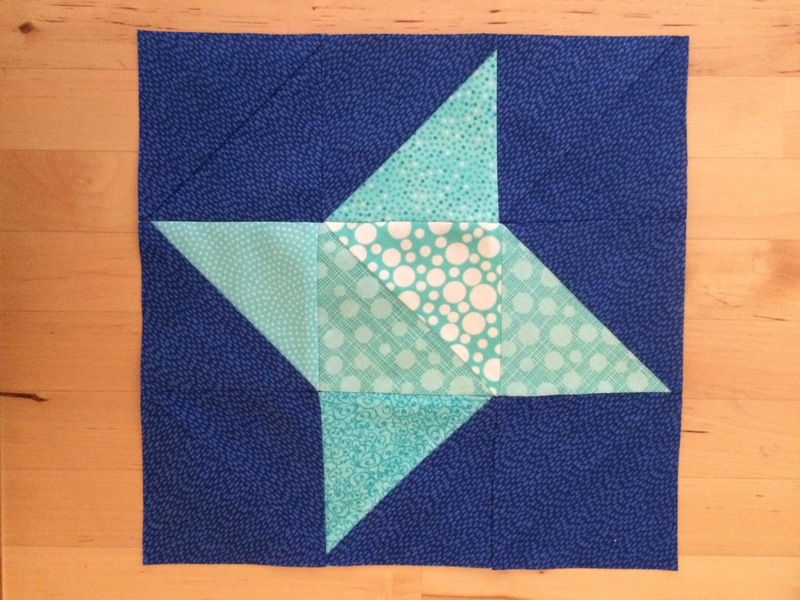 For the area outside the stars, I just cut one color 10.75 cm squares, but then I decided I could also combine 2 light blue fabrics on one square (just like the ones forming the star), so I cut&sewed some of those too. After hours of sewing, amongst several days, the quilted top was ready. Next came the sandwhiching of the top, batting and bottom layer. 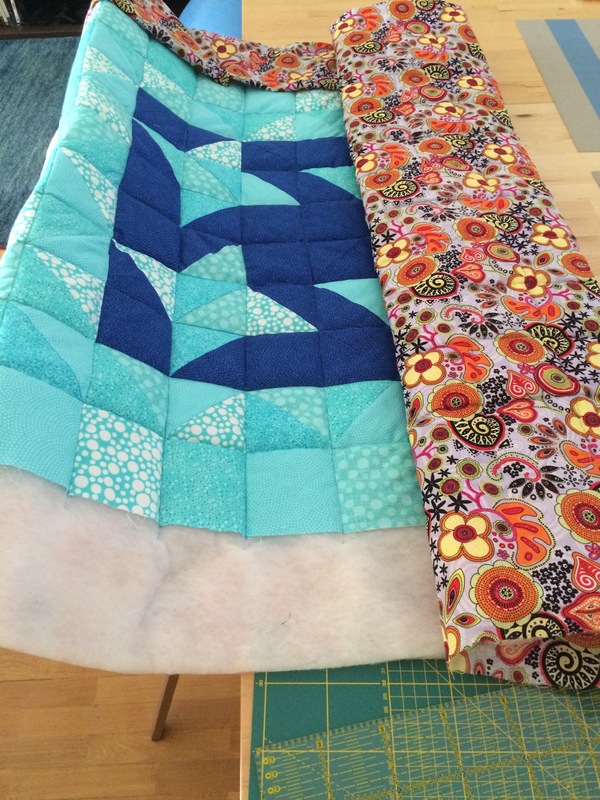 I chose to ‘stich in the ditch’ as the quilting technique because freestyle quilting is definitely not for beginners, at least in my opinion. 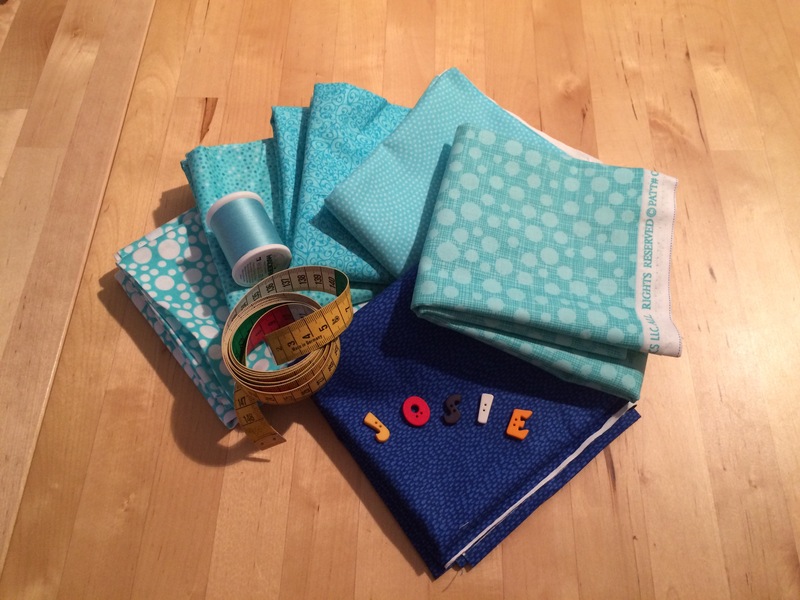 When it came to binding, I didn’t feel like making a separate binding so I chose to use the bottom layer as binding like it’s described here. 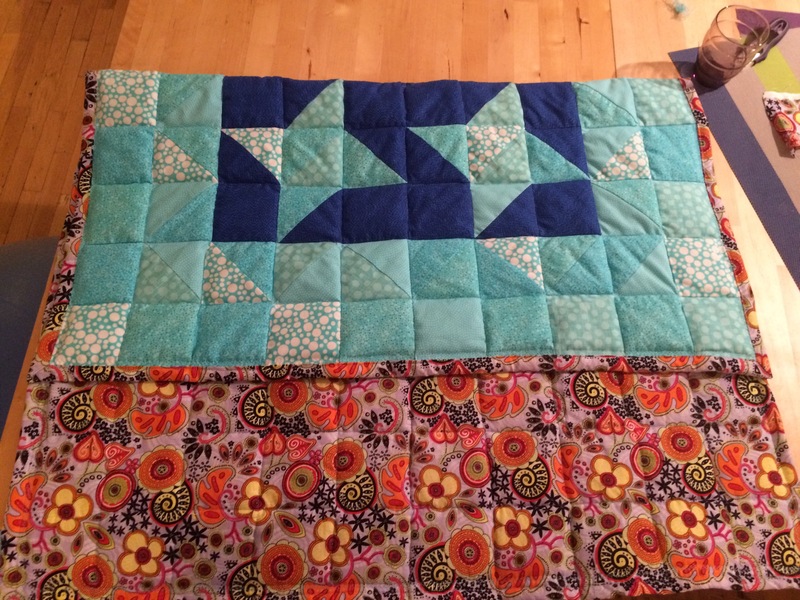 Here’s how the finished quilt looks like. I hope my daughter will enjoy it. 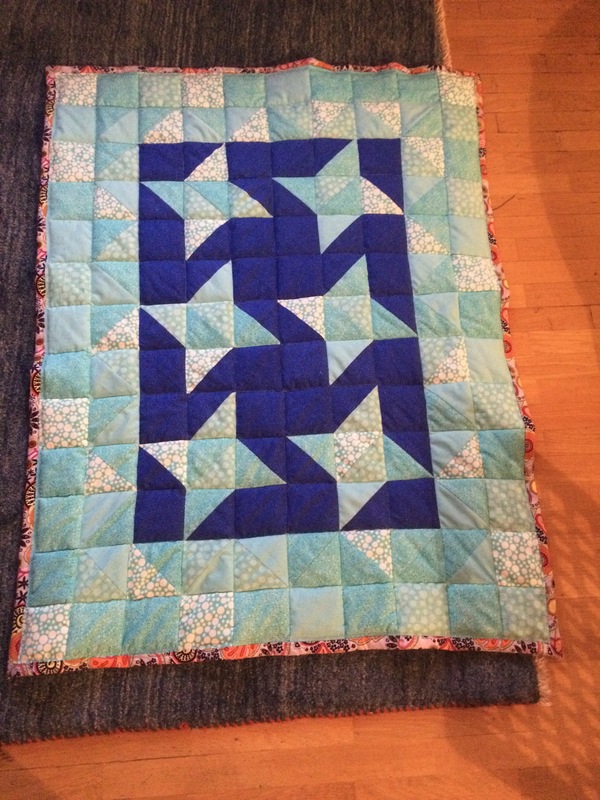 I spent quite some time on this quilt and I can’t say I will be sewing another one pretty soon because I need a break, but I would definitely like to give another design a try.